This level board is little complicated as it have only two ways to take out ingredients. To complete this level you need to play more from bottom part of the board specially the column from where you can take out ingredients. 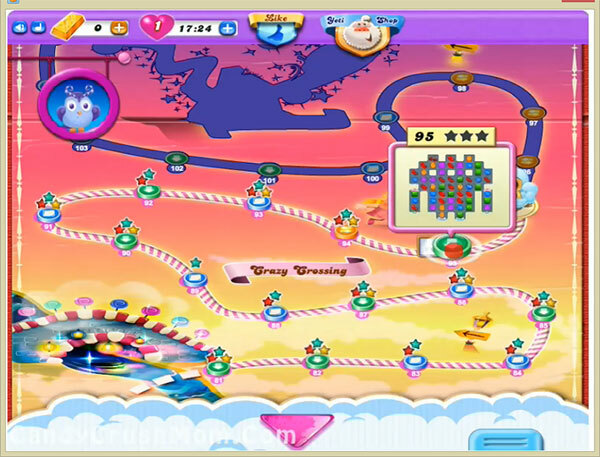 Then use striped candy to break candies that is impossible to break which are in both corner columns of the board. You might use other special combos and remember to balance the Odus owl. We completed this level with 145980 score within 38 moves by using special combos and two colorbomb and rest 7 moves converted bonus striped candies that help to get three star score.